Ontario Premier Doug Ford says the province can't do anything to keep the Oshawa General Motors plant running. "I've never seen a government roll over so quickly," NDP Leader Andrea Horwath responds. 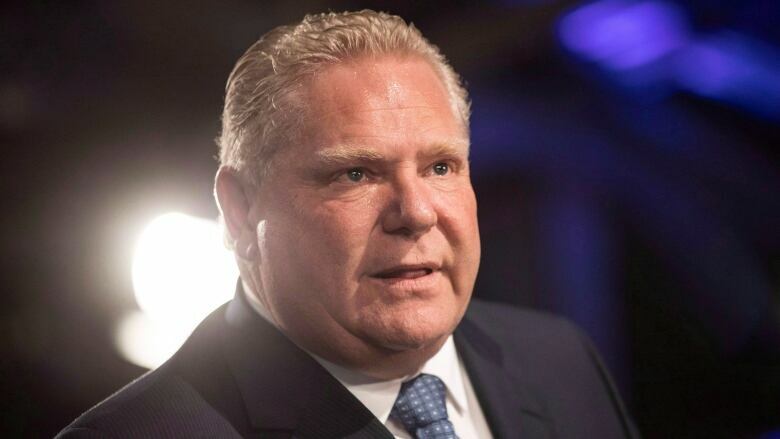 Ontario Premier Doug Ford said there's nothing the province can do to keep the Oshawa General Motors plant running, a pronouncement the opposition calls shocking and concerning. "They told me straight up there's nothing we can do," Ford said on Monday, after GM confirmed that the company will stop producing cars and trucks at the major plant east of Toronto. The premier called the news "absolutely devastating," and told reporters he's been told 2,600 workers could be affected by the shutdown, which is set to take place in 2019. Ford said he's disappointed with GM, a company Ontario has previously stepped in to bail out during hard times. Ford said he spoke with the head of General Motors Canada on Sunday, and was told that a plan to eliminate production at the Oshawa plant — which was months in the making — was already underway. He said that was the first he'd heard of the plan. Ford said he'll work with the federal government to provide supports for any auto workers who lose their jobs, in part by extending unemployment benefits. Prime Minister Justin Trudeau said Monday the federal government will also do what it can to help laid-off GM workers "get back on their feet," while federal Innovation Minister Navdeep Bains said Ottawa stands ready to assist those workers any way it can. But during question period, NDP Leader Andrea Horwath attacked Ford for not announcing the government would do everything it can to keep the jobs. "I've never seen a government roll over so quickly and throw in the towel," she said. Ford should "buck up and fight for good jobs," Horwath demanded. Horwath told reporters that manufacturing is still a key part of Ontario's economy, and the government needs to have an economic plan that protects that type of work. In July, CBC News reported that a government position created in 2015 to champion Ontario's auto industry was unfilled. Ray Tanguay, a former executive with Toyota Canada, had been serving as the province's "car czar" until March, when his term ended. The NDP criticized Ford at the time for not appointing someone to fill the role, suggesting the government didn't appreciate the importance of the auto sector.